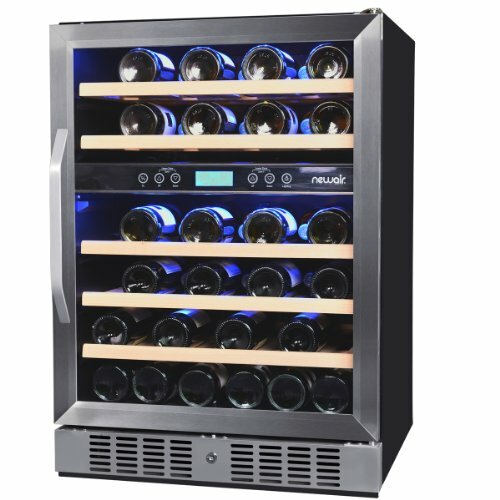 The brand name renowned for its premium household products ensure that with Electrolux wine cooler refrigerators you have top-quality, modern wine storage units that fit in your home furnishing nicely. The Electrolux company looks back to more than 70 years history in developing and manufacturing well-built, reliable, high-quality products for the European market and, through Electrolux USA, in the US. 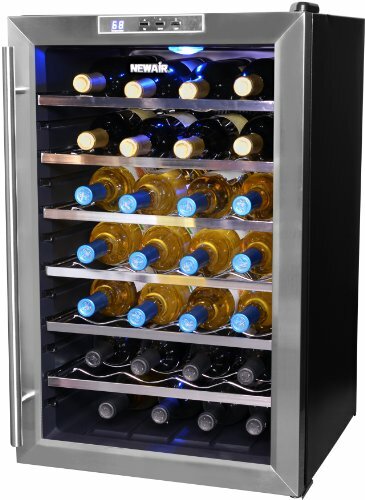 Read on to learn about the major fetaures of Electrolux wine fridges. Well-built cabinets manucfactured with care and attention using high-quality materials. Exclusive cooling system using absorption technology ensuring steady temperatures, proper humidity and efficient cooling. The absorption technology generates cool air based on a physical-chemical process without using compressor thus ensuring vibration-free and silent operation. The charcoal air filter provides clean, odorless air for the cooler interior- the air filters need to be replaced every 24 months. Smooth-glide shelving system – the finely crafted wooden-trimmed shelves slide easily so that you can place or remove your bottles smoothly. Touch-button digital temperature control – you can adjust the refrigerator to cool and maintain temperature inside the unit anywhere in the range of 46°F – 64°F (8 – 18°C). Insulated, tinted, UV-filtering glass doors – thermal insulation helps maintain stable temperature while the tinted glass blocks out UV rays that can spoil wines in case of long-term exposure. The see-through glass still ensures good visibility and display of the stored bottles. This is a large-capacity, freestanding wine cellar accommodating up to 160 wine bottles designed to occupy very little space in your home. Absorption cooling method is applied in the Electrolux wine cellars which is a chemical cooling process and no compressor is necessary resulting in silent, vibration-free operation. The silver framed glass door is tinted for filtering out UV rays and tempered to ensure constant temperaturie level inside the unit. The elegantly shaped handle enhances the stylish look of this spacious wine cellar. The cellar comes with leveling legs so that you can easily place and level the unit. The cellar includes 3 fixed storage shelves, and 6 smooth-glide shelves with elegant wooden trimms that you can stain to match your kitchen furnishing. 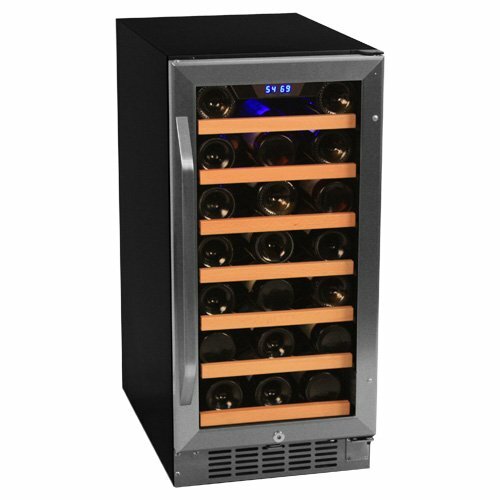 The wine cellar was designed to be used as a standalone appliance so you have to leave enough clearances (1-2″ at the rear and at the sides, 1 3/16″ from the fllor and 3 15/16″ at the top) for proper ventilation. You also have to leave enough space for opening the door to 90° so that you can pull out the shelves and remove or place the bottles. Price: US$ 3200 – 3400 (US$ 20.0 – 21.25 per bottle) a great buy regarding capacity and the great features. Warranty: full 1-year warranty starting from the date of purchase covers all repair costs and replacements that prove to be faulty in materials or in workmanship. Limited 2nd-5th year warranty: covers cost of repair works or replacements in the cabinet liner or sealed refrigeratiron system (compressor, condenser, evaporator, dryer or tubing). TIP: The Le Cache Contemporary Wine Vaults are furniture-like, large capacity wine storage units. 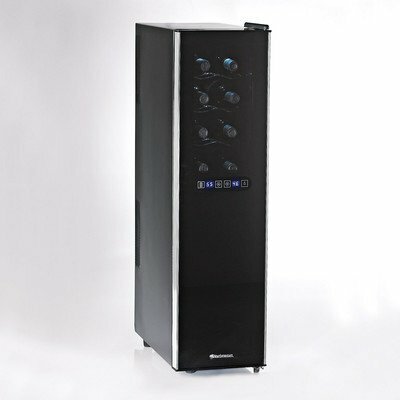 Read review of the Electrolux ICON™ Professional 48 bottle wine cooler. 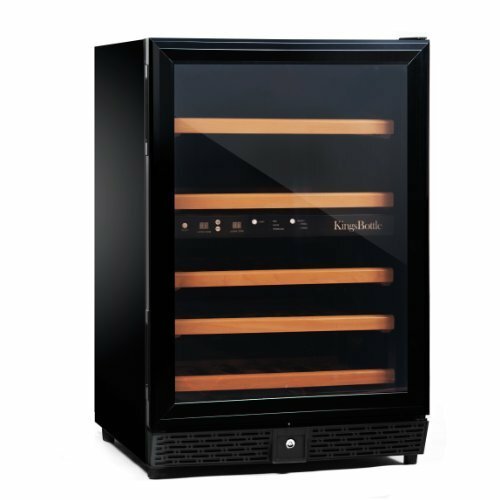 Caple Wine Coolers – affordable, reliable and attractive refrigerated wine cabinets.